Move along Bluetooth, Wi-Bo is coming. Wi-Bo, or body Wi-Fi, is the proposed new wireless tech that one analyst thinks is the key to building a network of small, useful wearables around the body which talk to each other and the rest of the internet. Read this: Apple Watch review - what's it good for? Andrew Sheehy, chief analyst at Generator Research, outlined his proposal for a new wireless technology on the company's research portal TekCarta. With so many devices built for wrists, faces, ears and other body parts, Sheehy argues that we need a couple of things to happen before everything can work together. We need to move beyond Bluetooth and Wi-Fi and develop a "micro-range" wireless standard for tiny wearables which uses a frequency above Wi-Fi - say, 10 - 20 GHz. "Bluetooth has by all accounts has been a very successful project," Sheehy told Wareable. "The point about the proposed 'Wi-Bo' is that Bluetooth was never intended to meet the requirements of a 'body network' which are so different to those relevant for Bluetooth. It seems a new 'standard' will be needed, not just a new version of Bluetooth, or Wi-Fi." The smartphone must also stay put for now but possibly not in its current form. The analyst believes that the battery and form factor/size required to act as a controller for this system doesn't suit smartwatches, smartglasses or hearables. Still, with wearables handling input from sensors in smart clothing or smart jewellery, for instance, and smartglasses and smartwatches providing displays, the 'smartphone' might look very different in the future. "Even if we think about the far future," said Sheehy, "then it is very hard to see how to avoid some sort of centralised unit which would handle a wireless connection to the outside world, host - perhaps - the client end of a personalised AI and store media. "So that would seem to safeguard the future of the smartphone, except that when we get to this point we will not be calling the device a smartphone." What really makes sense is how we'd interact with this network of tech. In this ideal scenario, we would have devices with hybrid interfaces. Each module would run on the same operating system - say, a mixture of Android Wear and a future Glass OS - but what we see, hear and control differs from device to device. We're talking body-powered wearables via a foot-based device. Headsets to record brain activity. Wireless ear buds. Optics in smart contact lenses. There's limits to what you can get done - and what it makes sense to get done - on a smartwatch versus smartglasses and what the concept describes is a future version of Apple's Handoff and Continuity tech for wearables. "While the Apple Watch makes it easy to scan headlines it is not feasible to look at any detailed content," said Sheehy in the post. " A future version of Google Glass would seem more suitable for viewing long-form content. "We can see a similar problem with Google Glass: while it is easy to take a picture, it is not easy to send that picture to a friend with a covering message. Again the user really wants a richer user interface that would allow him or her to use touch, for instance. Hence, surely a hybrid user interface would be more effective? 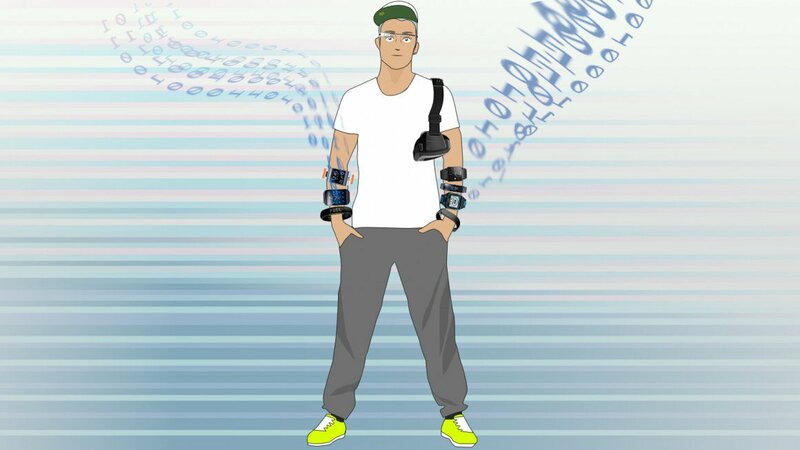 "This is easier to see when we start including other types of wearable products such as wireless ear buds: perhaps the 'optimum' wearable tech user interface would be a hybrid between hand, eye and ear?" The analyst teased in the post that there's "a clear opportunity for someone" to build this kind of Wi-Fi for the body. He's happy to provide a starting point but he's not developing this standard himself. As for who, Sheehy predicted this will likely be a startup who develops and tests the technology which would then be acquired by a tech giant. "Apple or Google would then force it into the market, leveraging a massively installed user base," he said, "so that it would become a defacto standard. This was the model for Android which was developed by a start-up of the same name. If the envisaged 'Wi-Bo' standard was to be rolled out in this way then it would be offered for free, just like Android." So what are you waiting for? Get to it. Wearable tech needs you.